Anyways, point is, there are a lot of things I want to do. And now that it’s Christmas break, it’s a good time to change some things. Pick up some good habits and what not. Maybe grow up a little. I’ll be working out on a regular basis, on my own. Key words: on my own. I work out on a semi regular basis because of swim team, but it still occurs to me that I am a lazy bum. I don’t know why i’m even typing this, but it occurs to me that if I say it enough, maybe i’ll actually do it. I’m also considering giving up all drinks but water for all of next year, for my New Year’s resolution. A good friend of mine did it. Then again, he probably has craploads more self-control than I do. But i’m considering it. The health benefits would be massive, i’m assuming. I wonder if I could have milk in my cereal…. 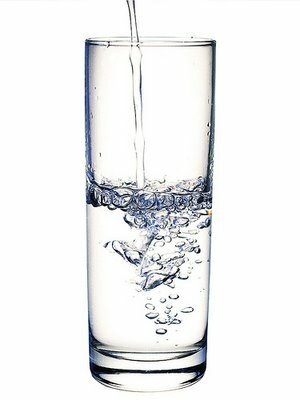 Here’s a picture of a glass of water for absolutely no one’s benefit. Anyways, writing this gave me a great idea for a decently funny post. So I will be working on that tomorrow. And…. I’m gonna write a poem. Maybe. If I ever get enough inspiration. Some people are so good at it. But i’m excited, because i’ll be taking AP Lang next semester, and that should force me to take in some culture. This entry was posted in Personal and tagged Blogging, Excercise, Goals, Hyperbole & A Half, teenage angste, The Oatmeal, Writer's block. ← You Can Tell a Lot About a Person by the Way They Eat a Cupcake.